“Very little is needed to make a happy life; it is all within yourself, in your way of thinking.” – Philip Green. Yes, that’s exactly how I feel. A happy life is not about a big house, a luxury car or an exotic lifestyle. It indeed lies within us and the way our thought process is. Be it a brief walk at the beach or playing a game of daily crossword puzzles. Happiness can be found in the smallest of things. Everything is about the perception. In the quest for finding happiness, we often forget how to be happy. It’s a paradox in itself, isn’t it? Well, that’s how humans are. Everything made up of contradictions and paradoxes. But that’s not how it should be. Happiness isn’t a farfetched thing. All we need is a way to discover it. So tell me when was the last time you were happy? Trying too hard to think? Well, you might want to change your lifestyle a little then. Aiming for the sky is good but sometimes landing amidst stars isn’t bad either. 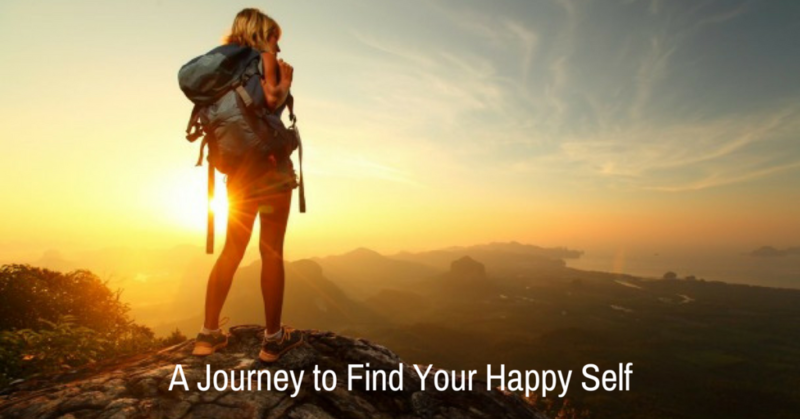 So if you haven’t started already, it’s high time you begin your journey to find your happy self. And as mentioned earlier, it doesn’t require any rocket science. All you need is to take out a little time and indulge in things that make you happy. No clue what to do? Let me give you a few quick ideas. Be in the company of books: Nothing is better than a company of a good book. Yes, a book is a friend that will always be your side. So make reading books your habit. Choose the one that interests you and read it whenever free. You would realize how the pages of books have a world of its own. It wouldn’t only improve your knowledge but, also enhance your communication skill. And, it would make you happy for sure. In fact, once you start reading, you will become a bibliophile in no time. Watch nature: So you have an office and personal life to take care of. And this leaves you with a very little time for yourself, right? Well, guess what? You don’t need an hour to find happiness. A walk amidst nature is enough to trigger your happy quotient. Wake up early, go to the garden and observe nature. You will see how the birds chirp and how beautiful the dew drops on the flowers look. Wouldn’t it be enough to bring a smile to your face? In fact, it will help you kick start your morning with zeal and enthusiasm. Reconnect with old friends: What could be better than talking to a long lost friend? Remember the mischief you pulled together and the memories you made? Well, why don’t you revive it all over again? Okay, you might not have time to go and meet them. But you can always call, can’t you? Trust me, even a phone or Skype call with your childhood buddy would be enough to make your heart happy. In fact, your soul would do a happy dance too. That’s how childhood friends make you feel. Say hello to crosswords: Yes, that’s another way of finding your happy self. No kidding. When you play word games, it makes you happy for real. Especially, when you are able to give the correct solutions. It induces you with instant satisfaction with every puzzle you solve. All you need is a quick 5 minutes break to unleash your inner wordsmith. In fact, with a variety of best crossword puzzles available online, you can play it anywhere and anytime. In a nutshell, being happy isn’t a huge thing. Follow the above-mentioned ideas and you will find your happy self in no time. Remember, happiness is a choice that you should make at the earliest. That’s the mantra to live life to the core. So, stay happy always.